All morning, I’ve been trying to get inside the heads of these two legislators and follow the twisted reasoning behind their statements. Perhaps a Vulcan mind meld might work, though I suspect my brain could be permanently damaged. But, in the spirit of inquiry, I’ll take that risk. OK, now that our minds are melded, I think I see a grand vision unfolding. It’s all part of the gun lobby’s plan. Townsend’s and Cramer’s arguments are nothing new. Remember former SNL performer Victoria Jackson blogging that the Sandy Hook massacre took place because of abortions? According to her peculiar line of “reasoning” — and I use that word loosely here — God would stop punishing us with these school shootings if we simply ended all abortions. But fear of divine wrath is just a clever subterfuge. This really has nothing to do with preventing school shootings or protecting the unborn. It’s all about the guns. Now that President Trump has proposed arming teachers to protect innocent school children, I see a surge of new proposals from NRA-backed lawmakers to achieve their perfect dream world of truly universal gun rights across the land, where guns are everywhere: in our homes, schools, and churches, and on every person, with no exceptions. No one will ever be too young or too old to exercise their sacred Second Amendment right. Of course, there is also the likelihood that, by arming every teacher and student with a gun, school killings will actually increase in the resulting chaos where everyone is firing at once. But at least more people will have guns. Once overly burdensome age limits are dropped, and every man, woman, and child is armed, it won’t be long before some imaginative legislator proposes what was once deemed unthinkable. To truly protect the unborn, guns must be not only on our persons, but in our persons as well. Female persons, that is. Any pregnant woman will be required to undergo a procedure in which a gun (albeit a very tiny one) is implanted into her womb so that the fetus can defend itself. Getting women to agree to this should not a problem. After all, everyone knows a woman’s uterus is not hers to control. There may be some question about when the fetus is first able to wrap its little developing clusters of finger cells around a gun, but I’m sure ideologues, as always, will resolve this matter based on carefully controlled studies. As to how to protect the mother from bullet holes, well, who’s more important, the fetus or the woman? There goes the nice, absurd ending I had planned. I may have to get serious. I hate that! We have venerated the gun and valorized its usage. America is violent and the gun is a preferred instrument of that violence. America, in many ways, is the gun. And that is the true absurdity. This entry was posted in Pregnancy & Parenthood and tagged abortion, Arizona, Charles Blow, embryo, fetus, gun, gun control, gun lobby, gun violence, Kelly Townsend, Kevin Cramer, Newtown, Sandy Hook, Saturday Night Live, school shootings, Steve Stockman, Victoria Jackson by Gene Twaronite. Bookmark the permalink. 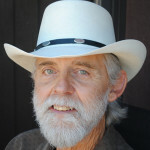 A retired University of Arizona instructional specialist, Gene Twaronite is a Tucson writer, poet, and novelist. He is the author of six books, including two juvenile novels and a collection of poetry. I blog for Planned Parenthood too so I am not opposed to the cause. But this is the most uneducated post I’ve ever read on this site and I’m very disappointed because I expected better from you. I know the implanting guns in the womb was supposed to be satire but it just came off as really ignorant. Hi Manda! I’m sorry you didn’t like this one. I’m not sure what aspect of the post you find to be “ignorant,” so I can’t engage that part of your comment. The idea of arming fetuses is absurd, which was the point of the post. Linking school shootings to abortion is absurd, too, and incredibly offensive — just as when religious leaders blame terrorist attacks and natural disasters on abortion and homosexuality. I think those kinds of absurd statements are fair game for satire, though what’s funny to one person might not be funny to someone else. I wonder how Rep. Cramer would explain the high homicide rate we had during Prohibition, when abortion, like alcohol, was illegal. As the saying goes, correlation is not causation, but Cramer doesn’t even have correlation on his side! As if his comment wasn’t ridiculous enough, we have Congressman Stockman’s for good measure. Thanks for giving us more dirt on how utterly disconnected from reality these gynoticians are! Teen Talk: I Can't Get Pregnant ... Can I? STD Awareness: What Does "Congenital Syphilis" Mean?